A faulty well pump is often a major concern and something that you’ll want looked at immediately. Typically, well pumps last for decades–but when was the last time you replaced yours? If you can’t remember ever putting in a well pump, it may have simply outlived its viable lifetime. However, at John’s Plumbing & Pumps, Inc, our plumbers will make sure that a simple repair won’t do the trick first. Our team does any kind of well pump repairs and installation in Yelm, and our knowledge and experience mean you won’t be getting a temporary fix with a symptom that will reappear the moment we leave. Help! I’m not getting any water! If you suddenly lose water from all of your plumbing fixtures at once, this is almost definitely a well pump problem. However, don’t get too anxious until you check the circuit breaker. It could be as simple as flipping a switch! If not, there are a few problems may be able to diagnose on your own, but if you’re uncomfortable with that or unsure, our experts will gladly take care of it! 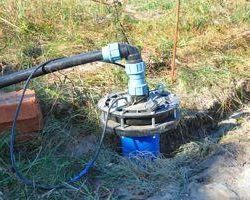 How do I know if I need a well pump replacement? Even if it’s been dozens of years since you put in a well pump, that doesn’t mean that you have to replace it if it’s in good condition. Conversely, even newly-installed pumps can go bad. Keep an eye out for a few signs that show it may be time for a replacement well pump soon. Water pressure problems. Low pressure and water sputtering often means that your pressure switch isn’t working like it should. We’ll check that and see if it’s the pressure switch or a problem with the pump itself that’s the cause for concern. Worn down components. Many parts of the well pump can be replaced and you won’t have an issue. 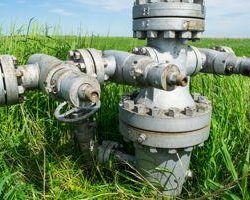 However, if you have an older pump, tracking down the right piece may be more trouble than it’s worth, and it could be more cost effective to get a newer, more efficient pump installed. Discolored water. Usually, the minerals in your water are invisible and actually offer some health benefits, depending on what minerals are naturally occurring. But too many of these elements can be bad, especially if the water starts changing color, and it could be a sign that your well pump won’t last much longer. Along with doing well pump repairs and replacements in Yelm, our plumbers can do any other kind of plumbing work too. We can work on septic systems as well as sewer drains to make sure the water is leaving your property. We can put in new toilets and clean out clogged drains. And we can even do whole home repipes, replacing the plumbing with better materials that are made to last. If it’s been awhile since you’ve had your plumbing looked at, now is a great time! Call or contact us today to set up an appointment.